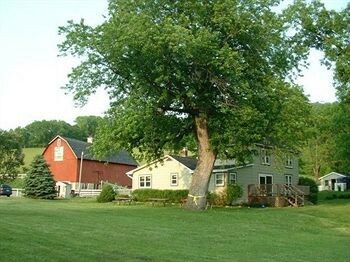 Property Location Located in Onalaska, Rainbow Ridge Farms Bed and Breakfast is in a rural location and within the vicinity of Onalaska Omni Center and Valley View Mall. This bed & breakfast is within the vicinity of Riverside Amusement Park and La Crosse Fairgrounds Speedway.Rooms Make yourself at home in one of the 4 individually decorated guestrooms. Complimentary wireless Internet access is available to keep you connected. Bathrooms have bathtubs or showers and hair dryers.Dining A complimentary continental breakfast is included.Business, Other Amenities Free self parking is available onsite.